As a legion of diverse models make their way through an eager crowd, it becomes evident that this is not your typical college fashion show. The Exquisite Modeling Troupe’s fall fashion show “NYLA” — New York- Los Angeles — was a unique spectacle in all aspects. NYLA incorporated a variety of multimedia and more performance-based techniques to create a “fresh and interesting” experience for their audience. The show included of a coalition of 16 models and 50 designers bringing to life their vision of a chosen aspect of New York and/or LA. Prior to each collection, video journals featuring each designer’s explanation of their design and stylistic inspiration allowed the audience to form a personal connection with each collection and the designer as well. The walking path, naturally a staple of the event, took on a different format as well. Most of the models walked two at a time in a wide, figure 8-like pattern, which, in turn engaged a large portion of the crowd. This acted as a homage to a Chanel show from the recent Spring/Summer 2016 Fashion Week, Exquisite Vice President Courion Williams said. Even more uniquely, certain collections actually utilized choreographed dance to better showcase the collections. The inclusion of live performers who rapped on stage during the introductory walk which included all models also provided a new fashion show experience. NYLA became even more interactive at the halfway mark when audience members were invited to participate in a modeling walk-off that elevated the energy and positivity of the room. The show’s purpose comes down to more than being entertainment, however. 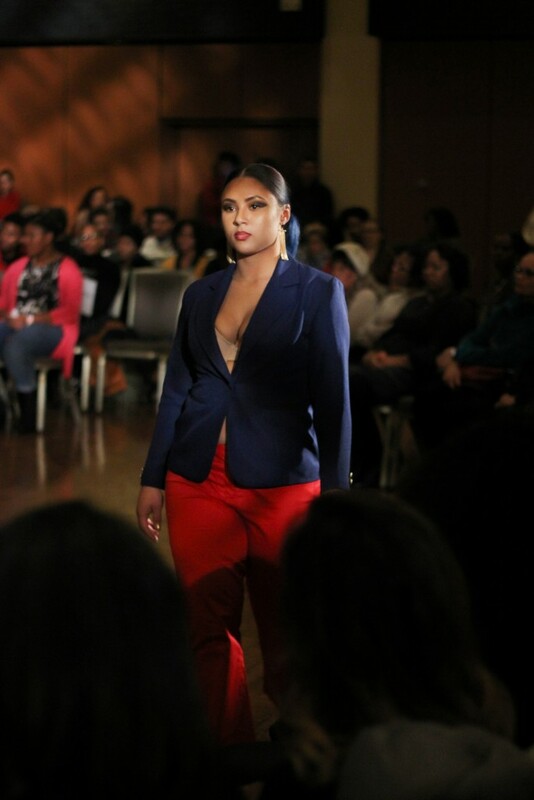 Exquiste’s ultimate goal is to “promote body confidence through modeling,” Williams said. Many fashion shows have size, height or other aesthetic requirements for their models but this is not the case for modeling with Exquisite. Williams started his involvement with Exquisite first as a model first and expressed that he has continued on because he believes in the group’s message and “definitely has big plans” for its future. Exquisite plants to host at least one more fashion show this year and other fun events, such game shows and many others to yet be determined. The group consists of Kent students at all academic levels, ages and majors. The show itself featured a considerable amount of designers who were graduate students, freshmen and non-fashion majors alongside fashion majors.